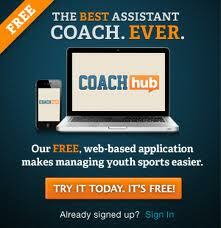 Youth sports careers can come to an end with one decision by a coach. My son was working out with his personal baseball trainer last night. His trainer is an ex-Met organization catcher who is now a coach for a local high school team. My son's select baseball team and this local high school have formed a partnership. As part of the partnership, the school provides some coaching support and allows the team to use its facilities. The goal is to help develop more talent for the school, a school that has won numerous state championships. Typically the facility is empty when my son works out with this coach, but last night the facility was loaded with high school freshman. Freshman players who were trying out for one of the HS teams (freshman, junior varsity or varsity). After the practice was over, the two head coaches set up chairs at the mound end of a pitching / hitting cage. Two chairs were facing the plate and one chair was facing the mound. The coaches took their positions in the two seats facing the plate. All if the kids assembled outside the cage behind home plate and waited to be called. As each was called in, they would walk the 60ft 6 inches and sit in the chair facing the coaches. Some walked with confidence and some walked with hesitation as they approached the seat and their baseball fate. I talked to the coaches after the process was over. They both said that they love coaching baseball and dread cut day. It's a painful experience for both the players and the coaches. Only God knows when your son / daughter will play in his / her last game. Youth sports dreams can be end quickly - especially if you go to a very large and competitive high school. As such, kids should lead a balanced life. My kids are sports fanatics and play non-stop. They play at very high levels for their current ages and have high expectations to play in HS and maybe even college (A big maybe). My kids are too young to predict the future. Some kids get more athletic compared to peers as they get older and grow and others who dominated in the younger age bracket leagues regressed in comparison. Watching the freshman kids walk off with their heads down, holding back tears made me think that I really need to prepare my kids and myself for the day that youth sports are over. A note regarding the differences between select baseball and recreational ball. My son is two years away from trying out for the HS team as a freshman. I asked the coach how difficult it is to make one of the teams as a freshman. He said that most of the kids who play high level select ball have no problem making the team. In fact, he said that it is really easy to spot these kids. He said that the toughest part of cut day is dealing with the rec ball kid who was a superstar on his team. Typically these kids think that they are good and probably are compared to other rec ball players, but the rec level players are not nearly good enough to compete with the select baseball player. I found your comment about rec vs select to be very telling. The same is true for volleyball, basketball, soccer in our area. No longer is just playing during season enough (unless you are a 2 sport athlete). School coaches face 2 challenges. 1) often they are not qualified to teach the skills and/or 2) they don't have the time to teach the skills bc the teams are busy playing. My son is going through this right now. He truly loves the sport that he is playing. When that is over he is ready to move to the next season and the next sport he loves. He is also very good at most. He knows he will have to back off at some point but we hope that is 10th grade rather than 8th grade. Kids still need to develop and they need alternatives in case option 1 does not work out. I am meeting with a tutor in a few minutes to help prepare him in case the first 4 options don't work out.